A homegoing celebration for Mrs. Mary Alice Huse Humphrey of Tampa, Florida who passed away on Sunday, January 27, 2019 will be held Saturday, February 2nd, 2:00 p.m. at Aikens Funeral Home, 2708 E. Dr. Martin Luther King Jr. Blvd., Rev. Michael Neely, officiating. The interment will be held in Rest Haven Memorial Park Cemetery. Mary Alice Huse Humphrey was born September 8, 1956 in Tampa, Florida to the late Edward and Ethel Huse. She answered the call the of her heavenly Father with her family by her side. Mary attended the local schools of Hillsborough County. Later, she met the love of her life Thornton Lee Humphrey. They were married on July 25, 1975, to the joyous union, their one and only beloved daughter, Kaila was born. Mary professed her belief in Jesus Christ over 40 years ago. Mary fought a good fight, for over 20 years she battled with End Stage Renal Disease. She dialyzed 3 times a week, four hours each treatment. Thornton never left her side; he was not only her husband, he was her care giver. He cooked, cleaned, bathe her when she could not bathe herself, he attended every doctor’s appointment he was truly her rock! She was preceded in death by her parents and brother, Eddie Huse. 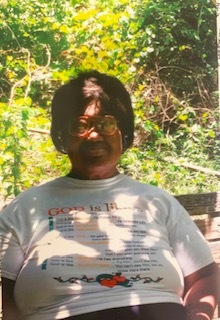 She leaves to cherish her fond, precious and loving memories with her devoted husband, Thornton Lee Humphrey; beloved daughter, Kaila Chanelle Humphrey; devoted cousin/caregiver, Elaine Jackson (Robert); cousins, Mary Still (Albert) of Tallahassee, Florida, Annie Lynn of Tallahassee, Florida, Jean Gant (Isaac), Charles Clark (Geneva), Mary Adelotte (Joseph) and Wanda Newson (Freddie); sister-in-law, Diane Smith; a host of other sorrowful relatives, loyal friends, Samantha Heflin, Stokes, Cambridge and Ratliff family’s; and dedicated employees of Fresenius Dialysis Clinic. The visitation will be held at Aikens Funeral Home on Friday, February 1st from 5:00 to 7:00 p.m. The family and friends are asked to meet at the chapel on Saturday for the service.